After sustaining concussion in Round 6 against the Giants, defender James Frawley is set to return on Saturday. Hawthorn won’t take any risks with key defender James Frawley, says GM – Football Operations Chris Fagan. 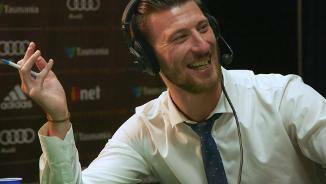 Hawthorn defender James Frawley talks tight wins and our upcoming match against GWS Giants. 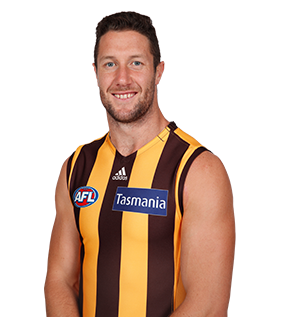 One of the long-term injured Hawks from 2017, Frawley bounced back to play 20 of a possible 24 games and was a key member of an improved defensive unit, usually standing the No. 1 opposition key forward. He had a good season and ranked second at the club for one-percenters with 6.6 a game. A contract extension inked before the start of the season means he is signed until the end of 2019 and a good start to this season should lead to another new deal, given the dearth of key defenders at the club. 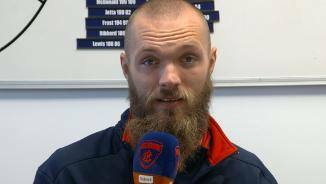 Player honours: Melbourne 2nd best and fairest 2010; Melbourne 3rd best and fairest 2011; All-Australian 2010; International Rules Series 2010, 2011; Hawthorn premiership side 2015. Brownlow Medal: career votes 8. Previous AFL club: Melbourne (2007-14: 139 games, 18 goals). Draft history: 2006 NAB AFL Draft 1st round selection (Melbourne) No. 12 overall; 2014 unrestricted free agent (Hawthorn).